Why did Drone get so much attention? That will be four points below. 1. The price of drone cheaper. 2. Safety and shooting are high performance, even beginners can easily fly. 3. There is the possibility of reversing the existing business market greatly. 4. There is a possibility to create a future that has never existed. As 1 and 2 will be as explained in the previous section, we will omit it. Drone can rewrite the existing business market greatly. For example, even one aerial photographing operation had to chart a helicopter and hire a photographer even if it was so far. Whatever you think about this, it will cost you, and psychological hurdles are also very expensive. However, if it is drone, it is the latest and high performance model. 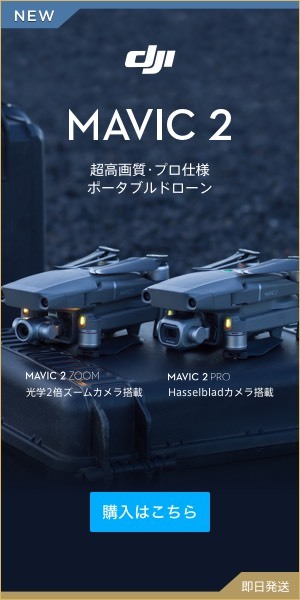 If it is Mavic PRO (Marvic Pro) I introduced earlier, you can purchase the drone itself at around 120,000 yen. This means that whatever aerial shooting itself was “sanctuary” has become an opportunity for anyone to enter the market. “expensive” business that is an existing “sanctuary”. In addition, we will introduce later on the fields where drones’ success can be expected. The drones are expected to be active in many fields. There are other things, but let’s leave it for now. I’d like you to realize that there are so many opportunities for drone in the meantime. Drone has the potential to create an unprecedented future. Now, the evolution of the times and the evolution of technology are really amazing things. Even if I take one as a smartphone, no one thought about 5 years ago that it would be popular so far. It is now commonplace for everyone to use it. Even if it goes back further, PC and internet etc are so. People who have already started drones think that they are aware of the greatness of their possibilities, but the drones are not simply “machines that fly in the sky”. There is a possibility that unexpected future can be created by combining other technologies such as the Internet on the extension line. When combined with other latest technologies such as VR (virtual reality) and AI (artificial intelligence), how will the future become? Is it a bright one? Will it be frightening again? Honestly I can not predict, but there is a new technology in the drones that opens the future. Drone Purchase Guide | How to choose drone for budget and purpose For entrepreneurship, for hobbies, for any purpose, let's start with a drone below 200 g!